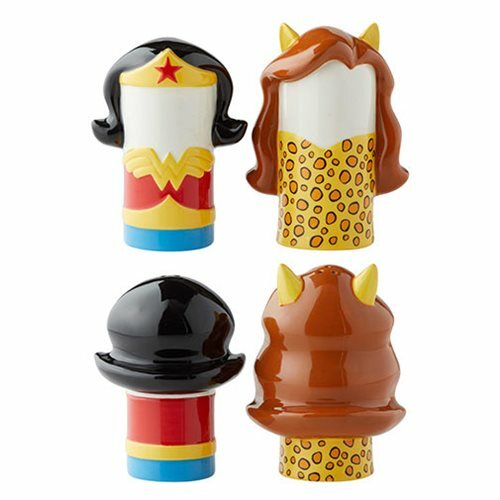 Two of DC's famed femme fatales come together in this one-of-a-kind DC Comics Wonder Woman vs. Cheetah Salt and Pepper Shaker Set. Highly stylized, they're made of stoneware, and Cheetah measures about 3 9/10-inches tall. Hand wash only. Not dishwasher safe. Do not microwave.